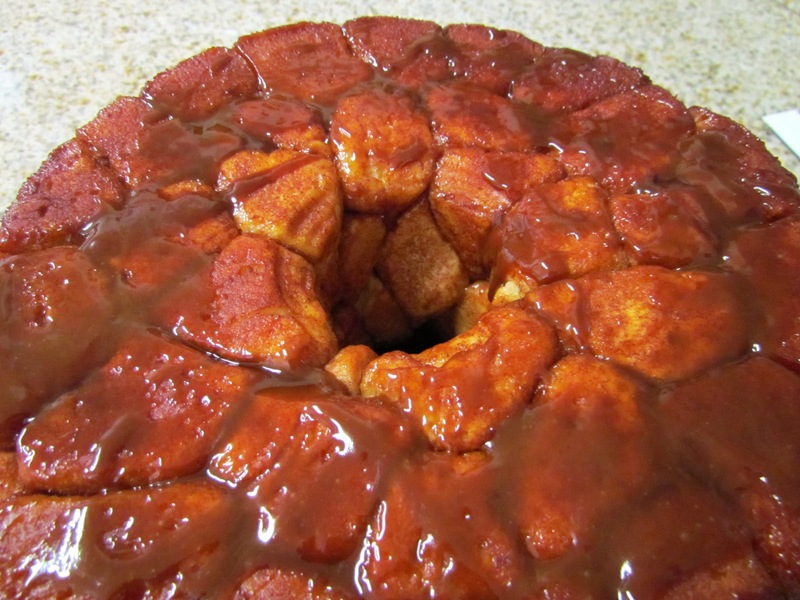 I learned about monkey bread this year...why I didn't know about it sooner is beyond me. 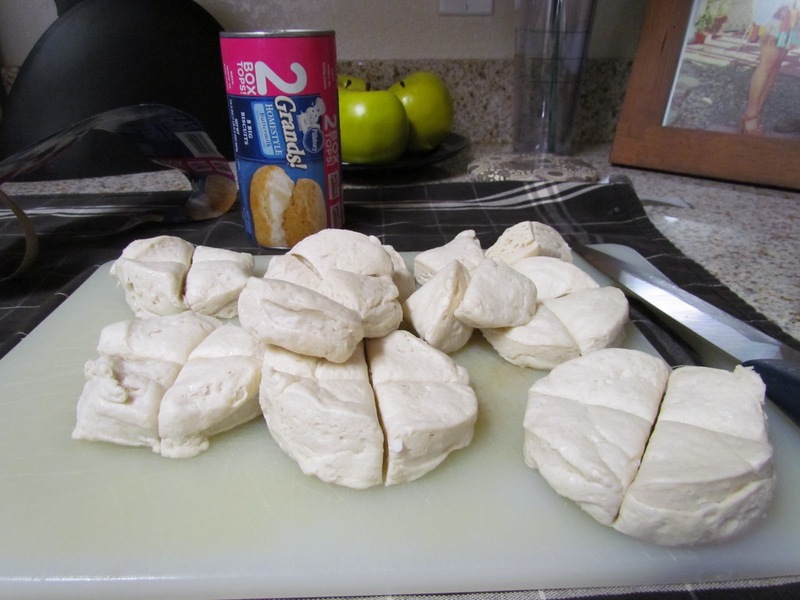 I love cinnamon rolls and these taste similar but you have the fun in peeling off pieces of dough. It was much easier to make than cinnamon rolls as well so that was a bonus for me. 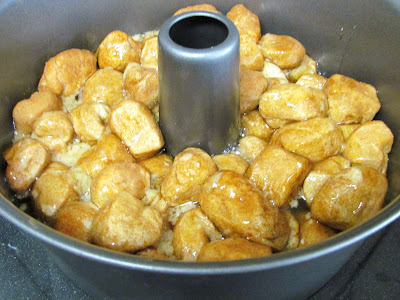 I also found a recipe for gorilla bread...it has a cream cheese filling! Open the cans and separate the biscuits, cut each biscuit into quarters. Next combine the white sugar and cinnamon in a plastic bag. Toss in all the biscuit quarters in the cinnamon sugar mixture and toss around! Have fun with it!! 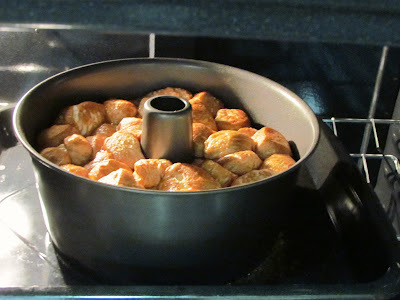 Take a bundt pan and light spray with non-stick cooking spray and place all the sugar coated pieces in the bundt pan. Bake for about 30-40 minutes or until the top is nice deep brown. Remove and WAIT...being able to enjoy this ooey gooey goodness trumps being impatient and having a burnt tongue! I enjoyed my monkey bread with some coffee and magazines, how will you enjoy yours? Looks freaking delicious! Can you ship it to SAn Francisco please? 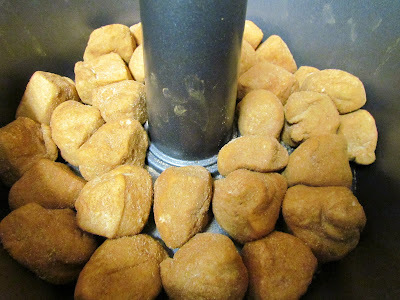 Do a post for gorilla bread! HAHA fedex package coming right up!